Bulldog Creative is headed up by partners Pete Rowe and Michelle Cook. They are very experienced and well respected in the industry and the business community. 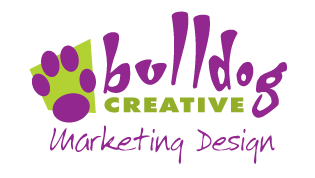 With an extensive range of skillsets, Bulldog Creative are in a position to assist businesses with any marketing project, from graphic design and printing to advertising and website design. Any business can feel thoroughly at ease in the safe hands of Pete and Michelle whose service and dedication are reflected in the outstanding reviews posted on this website. Pete is a British born designer with a long and impressive design pedigree. He owned and ran a successful design agency in the exacting UK market, working with some of the largest household names in the UK and Europe. Since moving to Australia, Pete has worked on some of the most challenging campaigns both nationally and internationally. He has developed skills across every design discipline, from traditional to digital. Formal training in print ensures the best possible outcome for Bulldog's clients. A qualified Trainer and Assessor, Pete runs classes in all aspects of the creative industry including Desktop Publishing, Graphic Design, Adobe Creative Suite, Illustration and Cartooning. 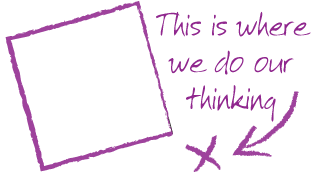 Copywriting, cartoons and illustration are Pete's passion, but his vast experience across all creative streams is an unmeasurable asset to offer any business client. Michelle studied BA (Hons) Degree in Industrial Design at RMIT (Melbourne) and Manchester Metropolitan University (UK). She has worked in Australia, Malaysia, UK and Europe, where her industrial and graphic design skills were brought to bear on projects for leading brand names in whitegoods worldwide and licensed products brands, such as Phillips, Whirlpool, Electrolux, AEG, Zanussi, Disney, Coca-Cola and Hasbro packaging. The licensed products ranged from tinware, giftware, stationery items (Staedtler), audio cassettes (BASF) and bedding (Dorma). Michelle's eye for detail ensures a high standard of quality control. Her proofreading skills are second to none. Her passion is for packaging design, mock-ups and product graphics. Copyright © 2019. Bulldog Creatrix.